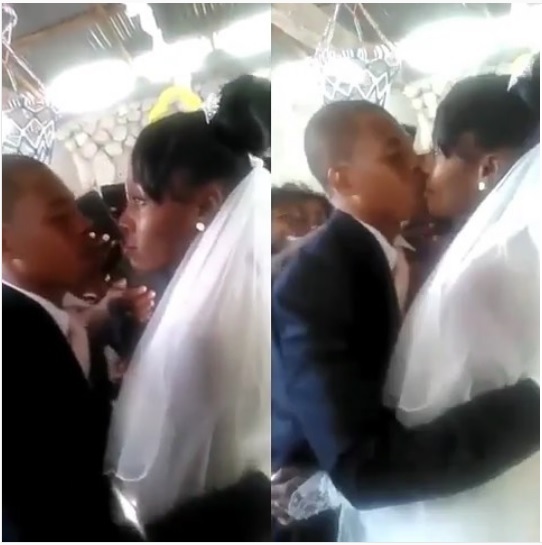 Thursday, April 11, 2019 - This video of a shy bride frustrating the groom’s efforts to kiss her during their wedding has lit up social media. The bride refused to take part in the traditional gesture after the pastor had declared them husband and wife. Interestingly, she was forced to kiss the groom leaving people wondering if she was marrying the guy against her will.